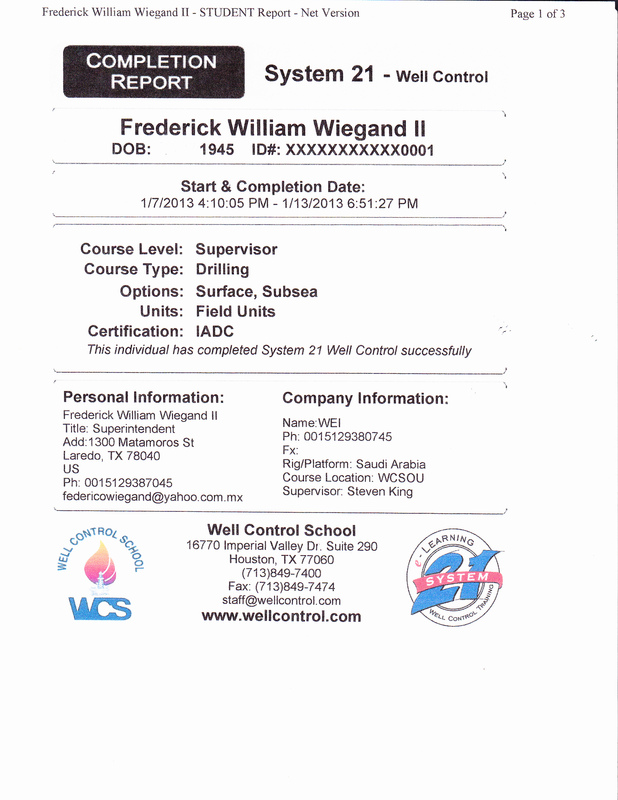 completed Well Control School Inc.´s online university course well control subsea and surface stacks for supervisor. made 93 % on final exam. completed all simulations and killsheets online. will post well control certificate soon. took course in English, but can present course in Spanish in Mexico and Venezuela and South America. 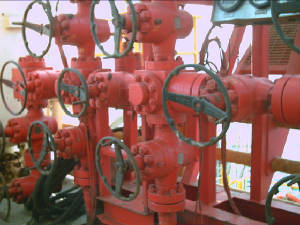 soliciting job as bilingual well control instructor with many years of rig experience. still updating WEI course on deepwater drilling engineering and well control. send email for more details to wiegandinc@yahoo.com or leave voice msg on USA telephone 001 512 938 7045.
ready to present 2 day course on Deepwater Drilling in Mexican Waters.